Eyelid surgery (or blepharoplasty) is designed to rejuvenate the appearance of drooping or tired eyes through the removal of excess skin and fat from the upper and lower eyelids. Patients who are suffering from sagging eyelids or puffiness underneath the eyes may feel self-conscious about their appearance. Additionally, excess skin around the upper eyelid may impair vision. Blepharoplasty can achieve a younger-looking appearance using the latest plastic surgery innovations. Dr. Mokhtar Asaadi can combine eyelid surgery with various facial rejuvenation techniques for substantial results, including brow lift surgery, rhinoplasty, or facelift surgery. During your eyelid surgery, incisions are made in the natural creases of your upper or lower eyelids and skin is separated from the underlying fatty tissue and muscle. Facial tissues are repositioned and any sagging skin is carefully trimmed to improve drooping. 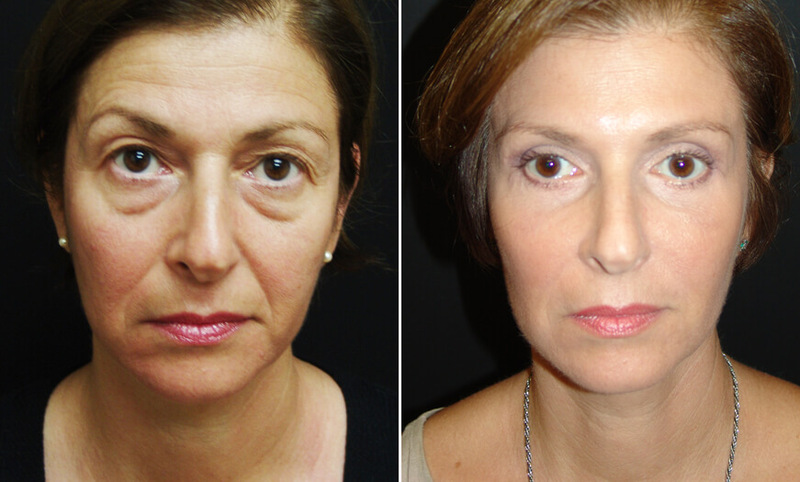 Lower blepharoplasty is not simply about removing everything, but instead reshaping the lower eyelids. Dr. Asaadi utilizes a unique method of correcting hollowness and puffiness around the lower eye. The different layers of the lower eyelid should all be handled differently to ensure the best results. 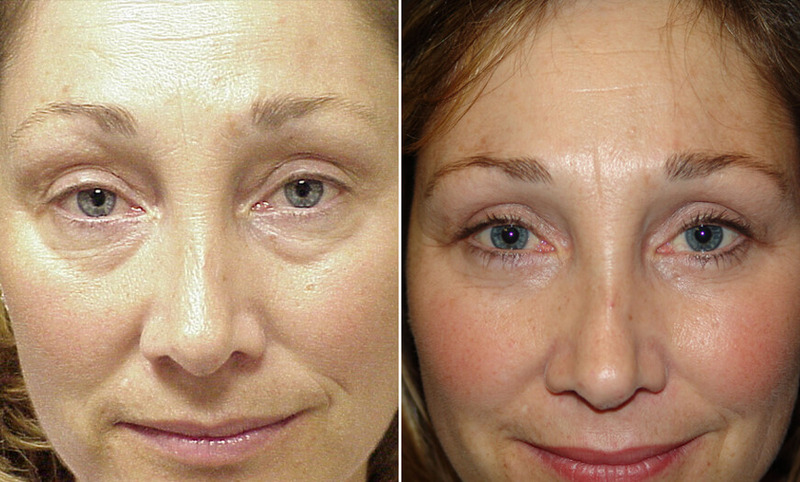 Dr. Asaadi selectively tightens and repositions each layer of the eyelid for optimal results. Tiny sutures are then used to close your incisions. Blepharoplasty usually takes 1-3 hours to complete, depending on your procedure goals. Additionally, Dr. Asaadi can properly address malar mounds and festoons below the eyes. These genetic conditions result in areas of puffiness below the lower eyelids and above the cheeks. Festoons and malar bags may appear either as a result of fat deposits around the eyes or muscle laxity. Once Dr. Asaadi identifies the cause of your condition, he can either surgically remove fat pockets under the skin or carefully release ligaments within the muscle to address your malar mounds or festoons. These surgical techniques can reduce puffiness underneath the eyes for natural-looking results. The correction of festoons or malar bags is one of the most challenging plastic surgery procedures, requiring great expertise and attention to detail. When performed correctly, malar bag or festoon surgery can yield amazing results. It takes a highly skilled eyelid surgeon to perform blepharoplasty correctly. Removing too much fat from the lower eyelids can result in a hollow look. Dr. Asaadi utilizes a very conservative approach to eyelid surgery to achieve natural and youthful-looking results. What Can I Expect Before My Eyelid Surgery? Your initial consultation with Dr. Asaadi will help prepare you for your eyelid surgery. Ideal eyelid surgery candidates include men and women suffering from drooping upper eyelids or puffy lower lids. Certain medical conditions, such as Graves’ Disease, dry eye, glaucomas, and thyroid issues, may present complications for those looking to undergo blepharoplasty. Dr. Asaadi can review your medical history and records and determine if you are a candidate for eyelid surgery. Additionally, he can work with you to create a treatment plan that best fits your needs and procedure goals. Blepharoplasty patients are provided instructions on how to best prepare for their upcoming surgery. In some cases, certain food, drink, supplements, or medications should be avoided in the weeks prior to your procedure. Dr. Asaadi recommends that patients plan ahead by allowing themselves a few days of rest immediately following their surgery. Blepharoplasty patients should be escorted to and from their procedure by a friend or relative. What Can I Expect After My Blepharoplasty Surgery? You may experience some bruising or swelling around the eyes after undergoing blepharoplasty, as well as slight soreness or tightness. Pain medication can be prescribed to alleviate these symptoms until they begin to subside within a few weeks. Dr. Asaadi encourages patients to keep their head elevated and apply cold compresses to reduce swelling. Eye drops can be prescribed to keep your eyes from getting dry or itching for the first few days. Additionally, Dr. Asaadi may apply a bandage to aid in recovery. Stitches are usually removed within a week of your procedure. Patients should be sure to avoid all strenuous activities, including exercising and housework, for a few weeks. Watching television, browsing the computer, and reading should be avoided for a few days, as well. After 7-10 days, you may be ready to return to work. Eyelid surgery recovery varies depending on the patient and our staff is on hand to answer any post-care questions you may have. 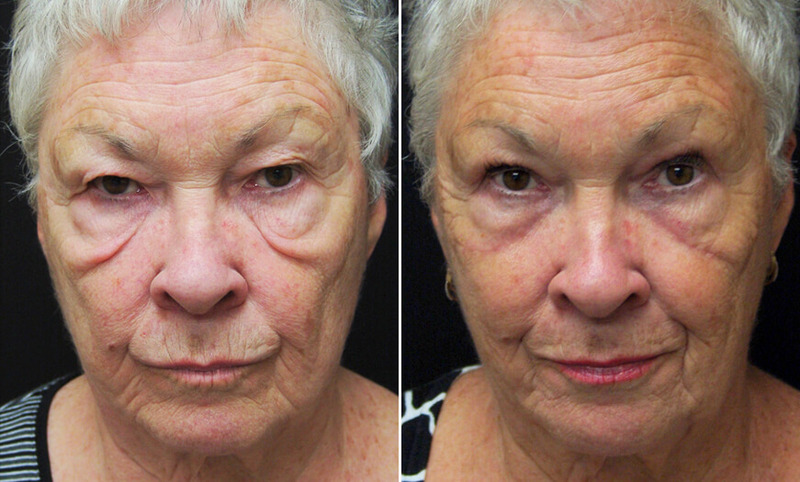 Blepharoplasty can provide long-lasting enhancements to the upper and lower eyelids. Patients can address drooping skin and excess fat in one procedure and achieve a natural-looking, youthful appearance. Moreover, patients suffering from malar bags or festoons can undergo eyelid surgery to correct these conditions. Dr. Asaadi places his incisions in the natural creases of your eyelids to ensure that any post-procedure scarring remains inconspicuous. It is important that you choose a skilled blepharoplasty surgeon who understands your individual anatomy, as every patient’s facial structure is different. When the right plastic surgeon performs eyelid surgery, there is usually no need for a revision. Dr. Asaadi stresses the importance of choosing a qualified, experienced, and board-certified plastic surgeon when considering blepharoplasty. Dr. Asaadi’s young eye rejuvenation treatment is a non-surgical blepharoplasty technique that can treat facial lines, crow’s feet, and hollowness around the eyes without any downtime or recovery. Young eye rejuvenation utilizes cosmetic fillers to add natural-looking volume to fill the U-shaped hollows of the lower eyelid. These hyaluronic acid-based fillers are hydrophilic, meaning that they can absorb water, resulting in a more voluminous appearance. Dr. Asaadi uses a small cannula to inject Juvederm® into the lower eyelids with precision. Botox® can also be used to temporarily ease facial muscles that contribute to the formation of wrinkles and fine lines. When performed by an experienced plastic surgeon with a keen skillset, non-invasive eyelid rejuvenation can provide an immediate, natural-looking result that can last years. How Can I Get Started With Eyelid Surgery? Dr. Mokhtar Asaadi and our staff will be happy to discuss eyelid surgery with you. Please contact our New Jersey office at 973.731.7000 or our New York office at 212.938.0158 to schedule a private consultation. You may also request an appointment online to meet with our blepharoplasty surgeon.